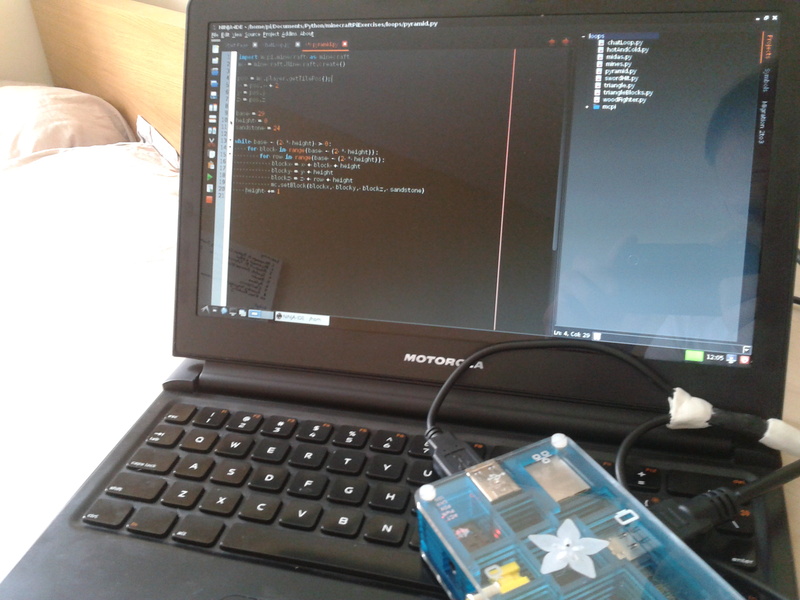 I’ve been running Ninja-IDE 2.0 on my Raspberry Pi and it runs surprisingly well. There are no problems with performance on either of my Model B, however I my Model A had a slight performance problem when using the Projects feature. Now you’re running Ninja-IDE on Raspberry Pi, you may get impatient having to open a terminal every time you want to use it. It’s also annoying that closing the terminal window also closes the IDE. Save the file and exit. The most important lines in this file are Exec=… and Icon=… make sure the directories match up to the ninja-ide directory. If you placed this in the pi directory you won’t need to change the file. Brilliant. You should now be able to use Ninja-IDE. Check out the developer’s website http://ninja-ide.org and show them some love on Twitter @ninja-ide. Hi, really nice to read this! You’re definitely the expert. Will update it after I’ve finished writing my next post. Sorry, newbie, I couldn’t get the git command to work. Thanks for the Ninja-IDE installation guide. I was able to get it installed but ran into a few problems. I successfully installed version 2.0 beta with “sudo apt-get install ninja-ide” and created a desktop shortcut. The program seems to work fine, except when I press the backspace key it does this weird thing where it deletes the 3rd character forward, versus the 1st character backward. Apparently this is a bug that was addressed in later versions. I was then able to download the latest version from ninja-ide.org/downloads/ but have no idea on how to install it over the old version. Could you provide a guide on how to upgrade version 2.0 beta to the latest version? I also installed version 2.3 (version 3.0-dev according to About->About NINJA-IDE) with git into /home/pi/ and created a different desktop shortcut for this version. I can’t get this one to work correctly either. The program launches fine, but I cannot get the preferences (Edit->Preferences) to display at all. I also cannot get my teleport.py program (from your awesome Python Programming book) to teleport me in Minecraft when I run it. I’ve tried deleting/purging then reinstalling Ninja-IDE with both apt-get and git and had the same issues with each version. I would be happy to have either of the versions working. Any suggestions or thoughts on this? BTW, it was your “Python Programming using Minecraft Pi and Codecademy” book that inspired me to get a Raspberry Pi and lapdock to teach myself and my daughter and nephew (both in middle school) about computers and programming. Thanks for making this book and blog available to us all. Sorry, I cant install the ” python-qt4 libjs-jquery pyflake” dependency. Sorry about the last question, it was an “spelling” problem. Worked awesome! Thanks so much. The editing looks great, but the only problem is running and saving the file. It says “File can’t be saved.” Any ideas? Reading a little more, it sounds like support for virtual environments is a relatively new feature for ninja, so perhaps there is an additional dependency that want there at the wiring of this post? If so, how would I go about installing it, and does it mean I need to reinstall ninja after? Thanks. It should be relatively straightforward to install virtualenv. Thanks. I discovered aptitude’s gui which was very helpful in making sure I installed all of the required dependencies. It’s working now. Next step is to figure out why ninja is using python 2.7.3 vice 3.x. I’m running raspbian, which I know has 3 built in. Hi great tutorial will it work conecting via VNC? I haven’t tested it, but I don’t see a reason that it won’t.